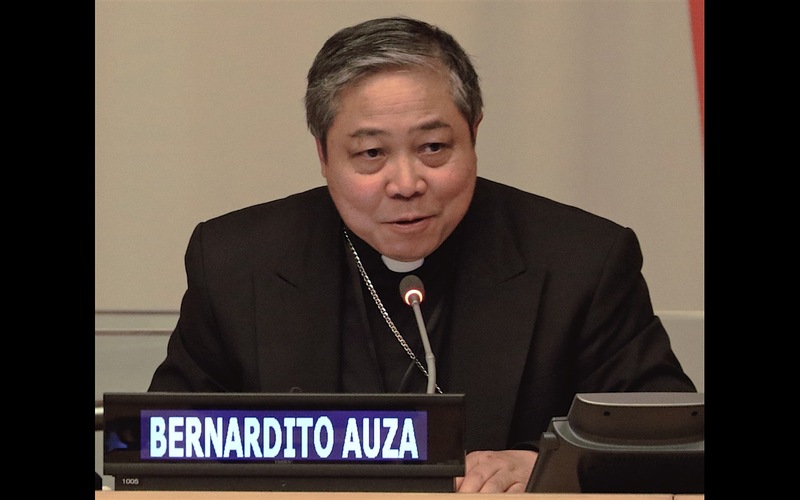 Archbishop Bernardito Auza, Apostolic Nuncio and the Holy See’s Permanent Observer at the UN, took part in the 24th Session of the International Assembly of Ocean Floors, held on July 24, 2018, in Kingston, the capital of Jamaica. Archbishop Auza stressed in the Assembly that there are several questions and interests involved in the mining of the ocean floor. However, above all “It’s crucial to remember that people are at the center of our decisions and actions when we formulate regulations … Good law flows from putting people above short-term profits,” said the Prelate. There are, inevitably, people that will be directly and immediately impacted by the mining of the ocean floors. Therefore, the Archbishop said it was imperative that these people take part in the decisions related to the regulatory structure. “These people must take part actively so that their interests are taken duly into account,” said the Archbishop. The Holy See’s Permanent Observer reminded the Assembly that the great majority of mining activities occur in a commercial context. These contexts are “areas outside the national jurisdiction.” To create an effective regulatory structure, the regulatory authorities “must invite these entities to talk,” stressed Archbishop Auza. “To include trading companies should not impede the Authority from examining the industrial process from beginning to end . . . but help to minimize the harmful consequences and reduce the risks and the inherent consequences of mining,” he noted.